Have you been searching for effective and free SEO tools to help you maximize your exposure on the Internet? I like to call search engine optimization or SEO a science because a great part of SEO is based on research, data collection, and the analyzation of the collected data. With an arsenal of different tools, you will be able to have a more accurate analysis and overall picture. Once the study is complete, you will be able to evaluate and devise a plan of action to fine tune your Internet marketing strategy. Whether your goal is to improve your social media marketing efforts or to improve your website’s rankings, selecting the proper tools will make your job a bit easier and will save you valuable time. To make the process cost effective, the following is a list of seven fabulously free SEO tools from the search engine giant, Google, with the highlights of each for SEO benefits. Purpose: To identify keywords and keyword phrases. Google Adwords Keyword Planner is Google’s PPC (pay-per-click) product. You will need to set up a Google Adwords Account to use it. It will help you determine the top keyword or phrases to incorporate into your website and/or blog. After you have signed into your account, type in the keyword phrase that you would like to target for optimization. The tool will return suggested keyword phrases and provide the competition for those phrases. To drill down further for more detailed stats, you can select the match type options of Broad, [Exact] or “Phrase” and sort by relevance with regards to keyword, competition, global monthly searches, local monthly search and extracted from webpage. In addition, the Google Adwords Keyword Planner tool is an incredible resource to glean keyword specific ideas for articles for your blog. Google Trends merged with Google Insights on September 27, 2012. The tool will show you how often a search term is searched over a period of time. It provides a graph that will help you to predict specific keyword traffic volume. It is an excellent tool to discover what people are searching for, a world map of where the search term is most searched and related search terms to consider. The following is an example of related searches for the search term, SEO, in Google Trends. Purpose: To evaluate detailed statistics about site visitors. Google Analytics (GA) is an invaluable tool for analyzing and understanding how people use your website. When you have a GA tracking script installed on each page of your website and/or blog, Google Analytics tracks your website visitors’ activity from a number of different referrers including search engines, social media networks, display advertising and pay-per-click programs. The tool provides a host of different statistics to help you evaluate the effectiveness of your SEO efforts and to identify areas that might be improved. Among the many features, is the bounce rate that will tell you of how many visitors click away and the number of pages visited. The search engines used that visitors to your site have typed in to find your site. The landing pages or pages that visitors use to enter your website. Add a Google generated meta tag to the home page your site. Upload a Google generated HTML file to your server. Verify it through your domain name provider by logging into your account with that domain name provider and adding a DNS record. If you have already set up a Google Analytics account, you can add the GA code. Once verified, you will be able to submit an XML sitemap in your Google Webmaster Tools account. This is a special sitemap with all of your site’s pages. Then, you will be able to check your site’s indexing status, crawl rates and identify potential problems that might be damaging your SEO efforts. Examine “Links to Your Site” that will show you what websites link to your website who links the most, your most linked content, and how your data is linked. Check for duplicate titles, duplicate meta descriptions, 404s, and so much more. In 2010, Google began using site speed in web search ranking. The speed of your web pages is not only important for SEO, but for your visitors. When a site loads quickly, visitors are more likely to spend more time there leading to higher visitor engagement, retention, and conversions. PageSpeed Insights provides the speed of a website on a desktop and mobile device. It will also provide PageSpeed Score and suggestions to improve your website’s page speed on both desktop and mobile devices. Google Mobilegeddon Looms Near – Are you Ready? Purpose: To rank higher in search results for those you are connected with on the network and to get your pages crawled and indexed faster. Google Plus is Google’s social network and although not an actual tool, it should be included in our list of fabulous SEO tools. In simple terms, posting your website’s URLs on your Google Plus page will help them get crawled and indexed by Google faster. If you share your post publicly, it can appear as a separate page in Google’s search results. Using these seven fabulously free Google SEO tools is a cost effective solution for those who would like to optimize their website and/or blog. They provide an arsenal of resources for researching, collecting, and analyzing data to help you with search engine optimization in a more educated process. 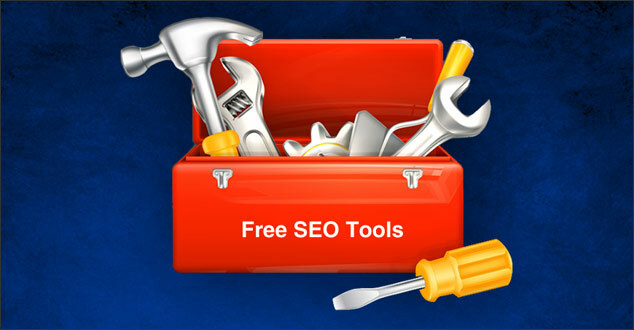 Have you used any of Google’s free tools for the SEO of your website? If so, what one is your favorite? If not, will you consider using them now? Please share your thoughts in the comments below. Yes, I have used a few of these. I must say that when sharing on Google+ it is one of the best ways to get ranked. I see myself there all the time or people tell me they have seen me on the first page of Google. Using this on a regular basis, sharing other blogs does get you ranked pretty high. I have past the “tests” and glad to say that I’m Google Friendly. Thank you for stopping by. Yes, Google+ is a golden tool to get our content indexed and ranked. It is great to hear that you are seeing great results and that the “tests” show you are Google Friendly. Thanks again for taking the time to read this and for your comment! You have named a host of great SEO tools that everyone that had a blog or static website should use. I’m constantly using Google Analytics to help verify my blog’s performance to see if I need to make some necessary changes. We all hate being left in the dark to some degree, and using SEO tools like these will shed some light! I couldn’t agree with you more. Google has provided us with some great tools to help website and blog owners analyze their website and traffic. I use Google Analytics constantly, too. You are right. Without tools like this, we would be left in the dark to some degree. Thank you for stopping by and taking the time to read and to comment. Have a wonderful weekend, too! What a wonderful article and collection of useful tools, thanks for sharing. I’ve used every single one of these tools, and find them very useful, particularly Google Webmaster tools, renamed to ‘Google’s Search Console’ recently. I also like using Google Trends because it gives a wonderful glimpse of how a search term has actually done over time – love that bit of statistical reality! Of course, Google Analytics is the best for knowing where we stand and what to do to improve areas we want to see grow, and what to continue doing if we see something is working. Excellent information, Robin, and I appreciate you sharing it. I’m glad to hear that you like this article and the collection of free useful tools. Yes, I agree. Google Webmaster Tools/Google Search Console is definitely one that many have at the top of their list, as well as Google Analytics. Thank you for stopping by, for taking the time to read this, and for commenting.